Does it seem to anyone else that the Extreme Sims 2 Bundle is missing a certain game series? Of course, I know what they mean, but when I hear “Sims 2 Bundle,” I certainly think first of the Sims 2. 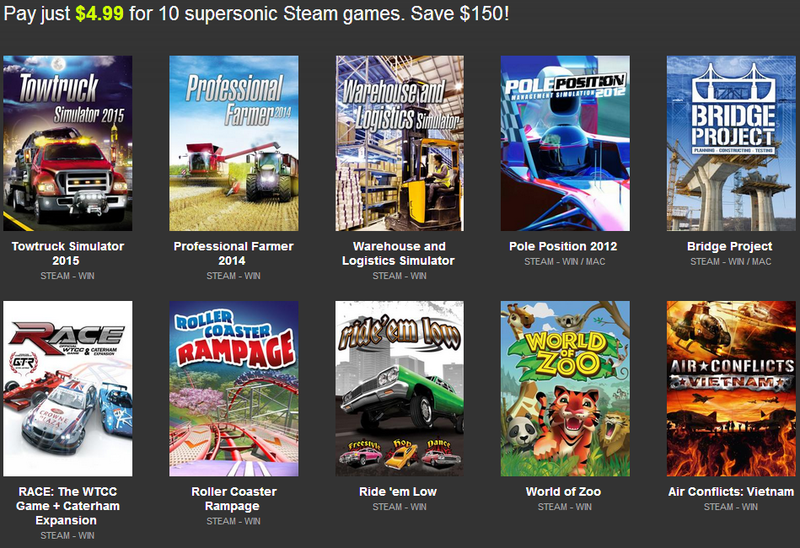 Extreme Sims 2 Bundle, Bundle Stars. I also received two comments (here and here) from reader shicky256 / Nathan M. on January 28th that Robert uploaded some new YouTube videos. While they weren’t all interesting to me, a few were and showed the location at which he did some of the development it seems. February 2nd brought a comment by a reader who simply used the name “Who is Bob?? ?” He points out that the bob’s game OUYA game was released. He links to a review of the game on OUYAbrew.com. 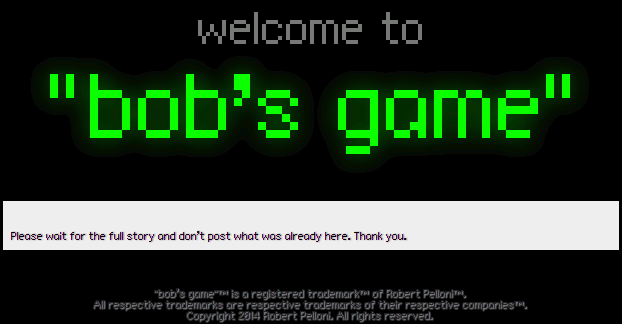 To be clear, this bob’s game is simply a single puzzle game that’s supposedly a minigame from the RPG. (Although it is pretty complex and changes rulesets, so maybe calling it “simply a single puzzle game” is an understatement.) I’d just like to be clear that this bob’s game is distinct from the bob’s game RPG and from the bob’s game within the bob’s game RPG. The strange tale of “bob’s game” attempts to keep the entire story of Robert Pelloni and his game organized. I’m going to consider these updates part of Act IX and update the article accordingly. To everyone who’s following along or contributing to the conversation here on this blog, thank you! I appreciate all the comments, and I’m glad that there are still people interested in bob’s game. I know I don’t always update immediately when I receive a tip, but I’m glad to receive them! The NVIDIA SHIELD is NVIDIA’s entry into the game console market. I had forgot about this, but the launch details were just announced yesterday. 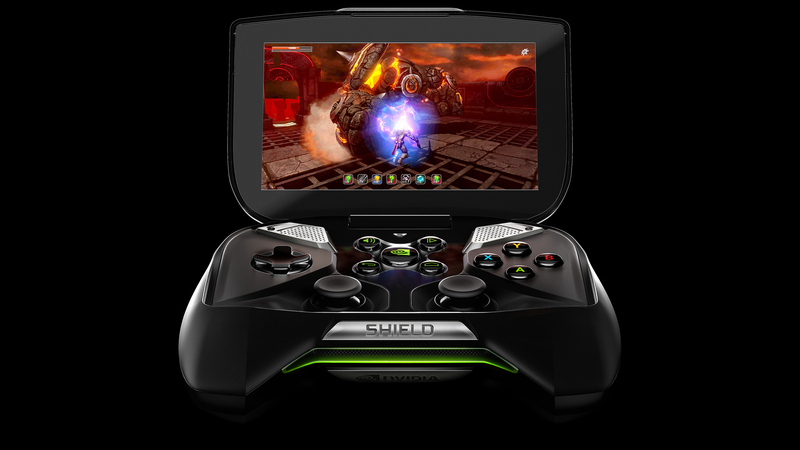 SHIELD is an Android console running Jelly Bean on a Tegra 4 chip. It looks a lot like a 360 controller with a flip up screen. It looks bulky and ugly, but I think it could be interesting. It’s most interesting feature is likely its ability, launching as a beta feature, to stream select Steam games from a PC using a GeForce GTX desktop GPU. Sadly, it’s 650 or higher, which mine is not. Presumably, streaming only works locally. It’s an interesting feature, but would I use it? I think I’d rather play my PC games on my PC unless I could actually stream it over the Internet. Chuck’s Challenge has been optimized for the SHIELD as well. It’s developed by Niffler with creator Chuck Sommerville. 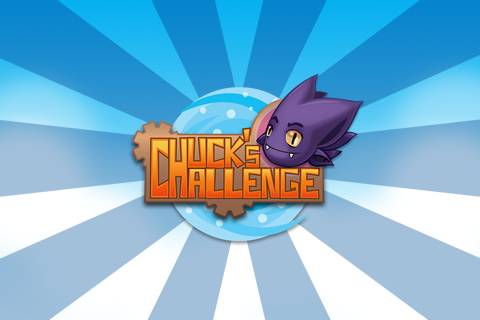 He’s the amazing talent behind Chip’s Challenge and of course the Chuck’s Challenge for iOS. I backed the 3D port of Chuck’s Challenge on Kickstarter, and from the beta, I can say that it’s very cool. There are also two Double Fine games being optimized for the SHIELD. There will likely be more announcements in the future as well. Sources: 5 Cutting-Edge Games That Will Rock NVIDIA SHIELD, Jordan Dodge, NVIDIA Blog, 5/14/13 and Portable Handheld Android Gaming | NVIDIA SHIELD via Chuck Sommerville.